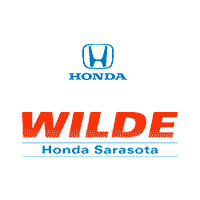 Look below to see what you can expect when you step inside a new Accord at Wilde Honda Sarasota! Bottom line: the 2018 Honda Accord interior is easily one of the most impressive in its segment, offering stylings and features to rival costlier mid-size sedans. When you compare Honda sedans, it’s easy to see why so many drivers fall in love. Schedule a test drive at Wilde Honda Sarasota near the Lakewood Ranch area to explore the Accord’s safety features and learn how to setup Honda Accord Bluetooth. We’re happy to help drivers from Venice to Fort Myers choose and finance a brand-new Honda vehicle to get back on the road and continue enjoying your summer!